Realtors and designers will tell you that kitchens and bathrooms are the two rooms that sell homes. These are easily the two most scrutinized area of the home as they’re often the most expensive to keep updated and relevant. Once these rooms fall out of date, homebuyers almost instantly begin deducting dollars from their offer, or even worse, they won’t make an offer as a result. 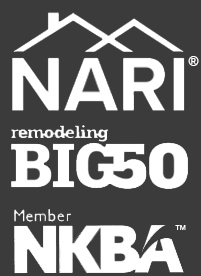 This notion is even further cemented by the 2019 Cost v. Value Report from Remodeling.net. According to the report, minor kitchen remodels like those done by Let’s Face It have an 83.1% return on investment! This report compares average cost for 30 popular remodeling projects with the value those projects retain at resale in 100 U.S. markets. Check out this year’s trends​ and how they compare to prior years. Homeowners often have difficult choices to make regarding kitchen and bathroom updates, especially considering their expensive price tags. Sometimes, depending on the circumstances, the time, effort, and cost of a complete renovation or remodel just isn’t worth the added value to justify the energy and expense. But in some cases, a complete renovation or overhaul can be avoided by making a few less expensive upgrades, like cabinet refacing in the kitchen or bathroom. Cabinet refacing can be an inexpensive alternative to replacing cabinetry in the kitchen, bath, or both. There are several excellent types cabinet refacing materials from which to choose, including the same premium materials that are offered with high end cabinet installations. While there are plenty of articles that will tell you how to reface a cabinet on your own, if you’re truly looking to capitalize on your investment this is a job best left to professionals. In addition to having access to a wider range of premium woods and finishing materials, companies like Let’s Face It focus exclusively on high quality, low cost, cabinet refacing. Whether your cabinets are in need of updated hardware, a refinishing treatment, new trim and crown molding, or a full refacing job, these are all improvements that come at a much lower price tag than a full kitchen remodeling job. 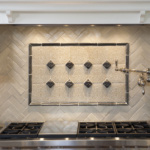 And while smaller upgrades might not be an option for every kitchen or homeowner looking to add value to their kitchen, they can certainly pay off when it comes time to sell. Using professionals like Let’s Face It, in just a few hours your kitchen can be completely transformed at a fraction of the cost of a complete renovation. You can also check out some recent project photos in our gallery here. Best of all, this sort of investment in your kitchen or bath is almost sure to add to the price of your home if you’re in the market to sell. If you’re interested in learning more about cabinet refacing or any service offered by Let’s Face It, contact us today for a free in-home consultation.